Do you participate in non-contact activities or have wrist pain when working? The DonJoy® Performance Bionic™ Reel-Adjust Wrist Brace can help manage symptoms associated with carpal tunnel, strains.... This slip-on wrist brace delivers compression, ventilation and easy adjustments. Plus, the Bionic Reel-Adjust Wrist Brace doesn't restrict movement of the fingers, so you can work, hold and touch things without constraint. 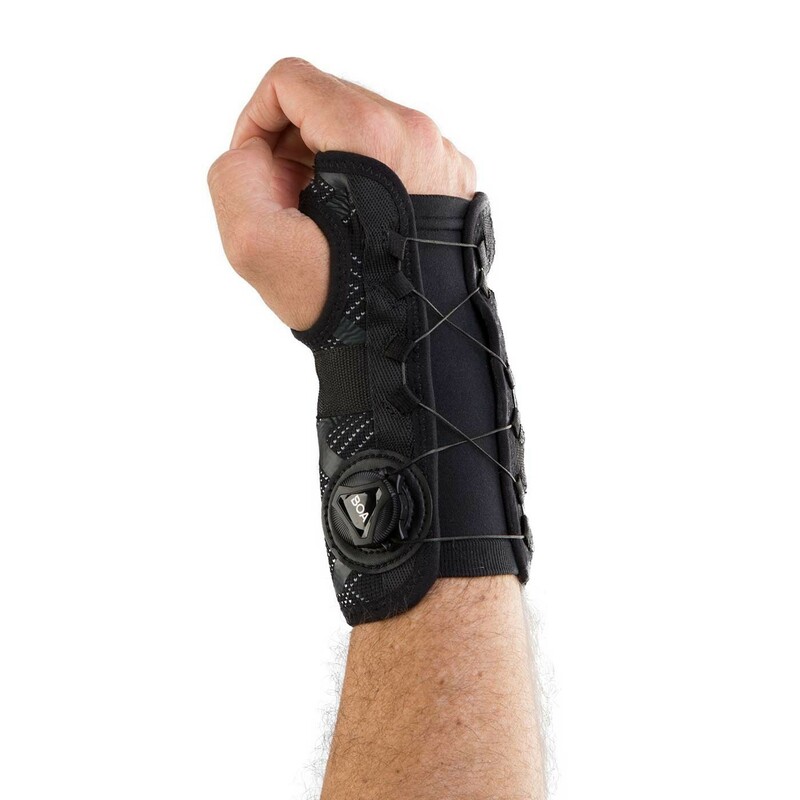 The DonJoy Performance Bionic Reel-Adjust Wrist Brace is a lightweight slip-on wrist brace that can help support and ease symptoms associated with Carpal Tunnel Syndrome (CTS), Mild Sprains and Strains, Tendonitis, & Wrist Instabilities. This wrist support provides additional support with a removable palmar stay and Boa dial technology for a more customizable, secure fit. Designed to support the wrist during activities without restricting movement of the fingers, the Bionic Reel-Adjust Wrist Brace is constructed with stretch knit material and spandex under-sleeve which delivers compression, breathability and comfort. First, loosen the brace by lifting up on the Boa dial until it clicks. Then, slide the hand into the sleeve until the thumb is in the thumb opening. Push the Boa dial down until it clicks and then turn the dial clockwise for a desired fit. 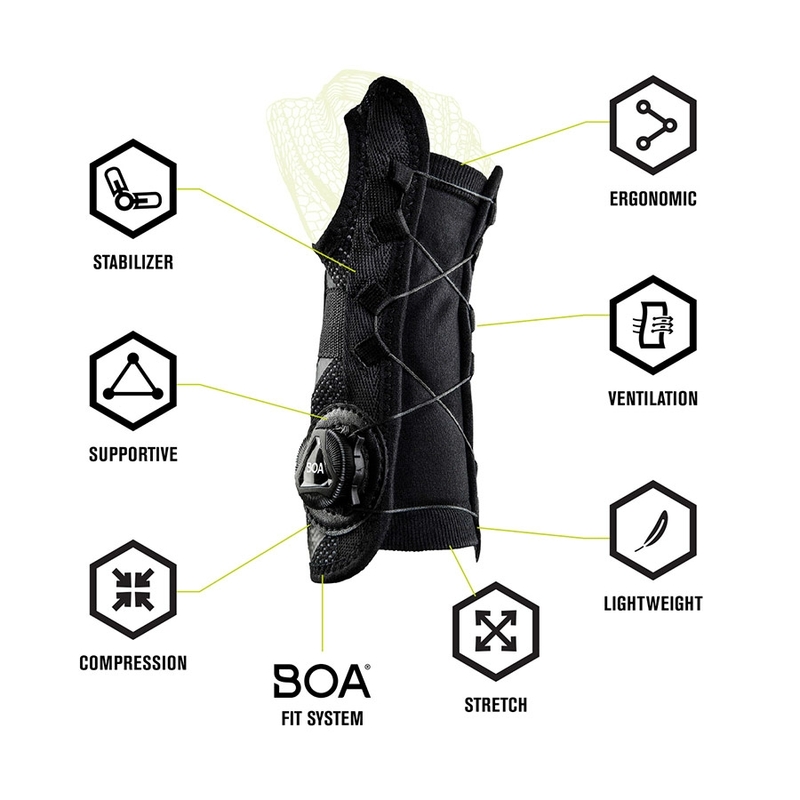 To loosen the brace, lift the Boa dial up until it clicks and then re-tighten it by turning the dial clockwise. Sizing is based on the wrist and palm circumference.